The arrival of spring brings a sense of renewal and a bevy of enticing farmer’s market ingredients. 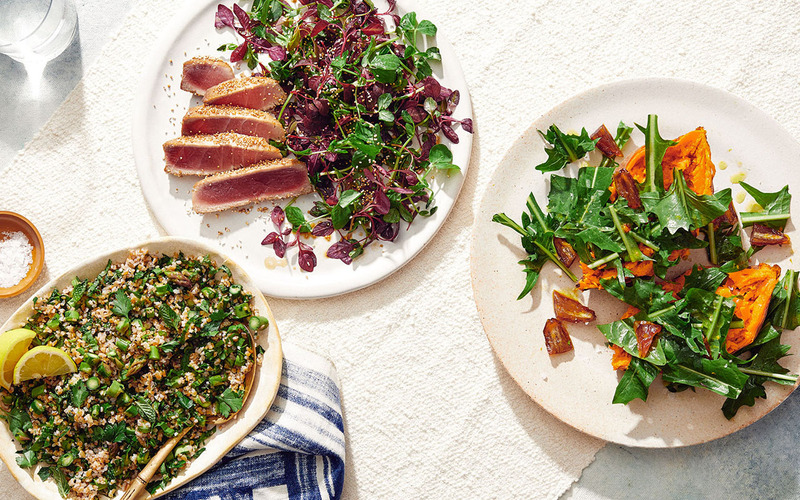 In celebration of the season, New York City–based recipe developer Laura Rege created three recipes that highlight peak produce. Chicken thighs get a bold accompaniment in the form of fava bean, snap pea, corn, and radish succotash, while grilled baby artichokes are topped with a drizzle of textural pistachio salsa verde. Lastly, spring onion and shiitake mushrooms boost the flavor of parchment-steamed wild cod, which is served with a fresh pea relish. Photography and styling by Jenny Huang.